Obviously, there are many issues that contributed to the tragedy at Sandy Hook and the events that led to it. I cannot even begin to fully explain them all and to try would be socially irresponsible on my part. However, there there are some aspects of it, and the resulting controversy, I feel I need to address. Say what you will about Spike’s Video Game Awards and their choices of winning titles, but it is one of the places to see the premiere trailers for some of the biggest games of the following year. Six months separated from E3, the VGAs are the biggest nationally televisions gaming event in the latter half of the year in the US. As a result, games that were quiet during E3 get revived interest while other games that were spotlighted at E3 get one last big push before their releases early in the next year. 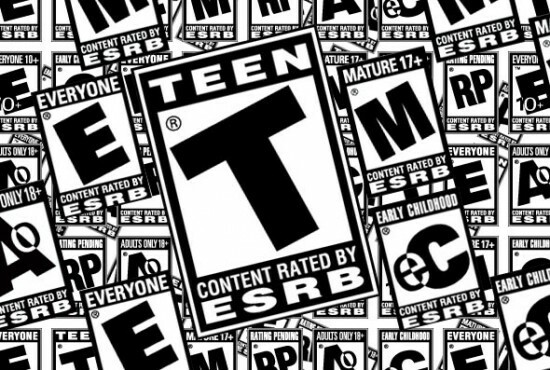 So far, Spike has revealed three teasers for game’s that will be getting the ultimate spotlight on this year’s VGAs. 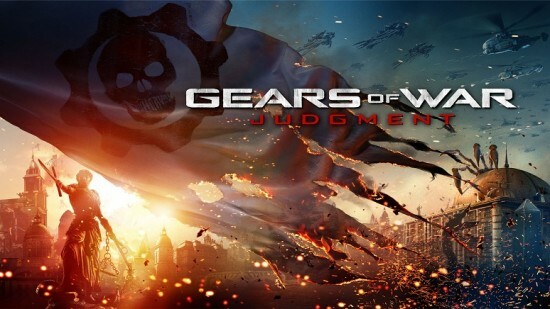 Gears of War: Judgment will be coming to the VGAs only six months after its E3 announcement and will focus on the character Baird in the early parts of the Locust War. The Last of Us actually made its debut at last year’s VGAs and quickly grew a rabid fan base. Coming from the same studio that brought us Uncharted, The Last of Us has an intense blend of action and survival in an apocalyptic setting while also focusing on the relationship between its two diverse main characters. Finally, after a plethora of delays, Bioshock Infinite will make its way to the VGAs to help prepare for its February 2013 launch. Check out all the teasers below after the jump and catch the Spike Video Game Awards on Friday night, December 7th at 9 PM on Spike TV. What Will Happen to Epic Games Without Cliff Bleszinski? Ever play Gears of War or the Unreal Tournament series? If so, you’ve played one of over 30 games that Cliff Bleszinski has been a part of creating in his twenty year career. Late last week though, the man known to the gaming world as CliffyB announced his retirement from the Epic Games studio. On their website, Epic announced that Cliff would be departing the company. That day, CliffyB would go on to trend worldwide on Twitter. From the looks of things, it seems to be an amicable departure from both sides. Currently Cliff’s next plans are still a mystery. 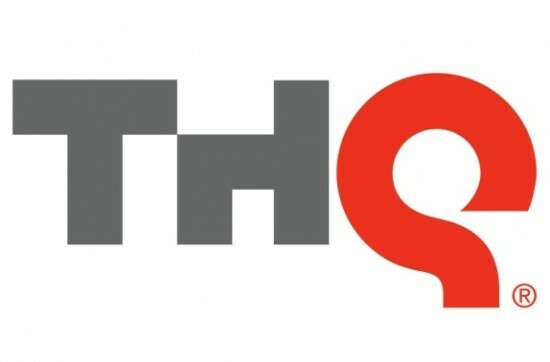 But the question is, what happens now to Epic Games? And the answer may surprise people. Probably not a lot is going to change with the company. While CliffyB is unarguably the most public face of Epic Games, he is one man amongst a gigantic team of programmers and designers. While Cliff has no doubt been a part of Epic’s most recent string of successes, he is not the sole force behind them. Unreal will go on. Gears of War will continue. The groundwork has been laid and Cliff leaving the company just gives the opportunity for someone new to step up… and hopefully cut their way through a wall with a chainsaw at E3. As we told you earlier, Microsoft kicked off their E3 festivities with what could be considered a fairly standard and unsurprising Press Conference. As expected, they announced the anticipated console exclusive, Halo 4. Upping the ante from last year, this E3 brought gameplay footage of Halo 4 to the audience with a first look at the new enemies and weapons as well as some familiar faces from past Halos. Microsoft would follow with footage of the new Splinter Cell: Black List which uses enhanced Kinect controls. Following on the Kinect bandwagon, EA debuted footage of the latest Fifa and Madden franchises. In Fifa, players will be able to make coaching decisions and their reactions will be read by the Kinect and penalties may even be awarded based on poor sportsmanship. In Madden, NFL Hall of Fame Quarterback Joe Montana demonstrated the game’s new Kinect enabled play calling features. After the Fable: The Journey trailer, Microsoft Studios brought out studio head Phil Spencer who introduced the trailer for the new Gears of War: Judgment, staring Baird, and then the latest racing experience with Forza Horizon. 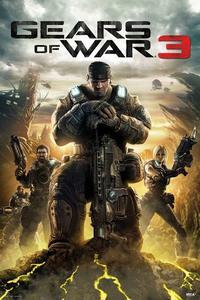 Since its release back in 2006, the Gears of War series has been met with both fanatic praise and scornful rejection. Some boast that it “redefined the third-person shooter,” while others claim it only furthers the stereotype of gamers as meat-headed blood junkies. Whatever your stance on the franchise is, the third and (possibly) final chapter of the trilogy is here – and credit must be given where it’s due. The development team at Epic Games end the story of Marcus Fenix and the rest of Delta Squad with a bang – both in the single-player / co-op campaign and across the online battlefield. From graphic updates to fine-tuning combat controls to completely redesigning one of the most popular multiplayer modes in recent history, all of the pieces of this blood-spattered puzzle fall gloriously into place. Keep reading to find out how Gears of War 3 stomps on the juicy insides of its predecessors, while also managing to deliver one of the most satisfying ends to a gaming franchise. The world of first person shooters runs rampant in the video game industry but there are very few third person shooters that receive the hype of Gears of War. Military shooters constantly clone Call of Duty hoping to unseat the champ and futuristic sci fi shooters like Resistance look to topple Halo. But Gears of War has gone largely unchallenged. Until now. Enter Binary Domain, a futuristic cover based third person shooter where players must survive an onslaught of machines that just don’t seem to want to die. 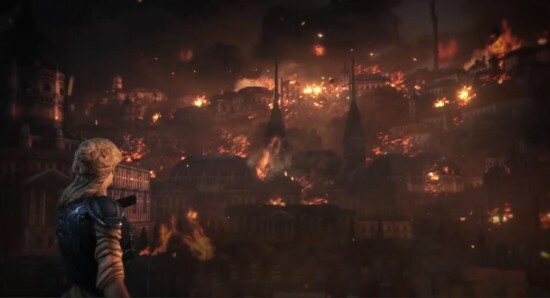 Not only does Binary Domain from SEGA look amazing but it doesn’t look to be a Gears of War rip-off either. Aside from the obvious difference in enemies being crazed robots as opposed to creepy underground monsters, the environments are also drastically different too. Binary Domain is more reminiscent of with fairly clean city that hasn’t had the waste of war laid fully upon it yet. Binary Domain, as seen from the trailer, looks to be quite the challenging game too as players won’t be able to just take out enemies with a few well placed pop shots like they can against mortal enemies. These robotic threats look like they can keep a licking and keep on ticking. After blowing off limbs, these mechanical attackers will continue coming at players, much like certain zombie games interestingly enough. This definitely changes up the pacing seen in most third person shooters thus far. Take a look below at the weapons trailer for Binary Domain and stick to the Flickcast for more on this February 2012 release for XBox 360 and PlayStation 3. Need proof that major comic book publishers fear that print comics are a dying commodity? News from DC’s camp may just be that. Word has recently come in that the megapublisher will be changing all current comics that are priced at $3.99 to be slashed down to $2.99 starting in January of 2011. “As Co-Publishers, we listened to our fans and to our partners in the retail community who told us that a $3.99 price point for 32 pages was too expensive. Fans were becoming increasingly reluctant to sample new titles and long term fans were beginning to abandon titles and characters that they’d collected for years.” said Dan DiDio, DC Comics Co-Publisher. When taking into account mini-series, annuals and specials, more than 80% of DC’s comic books will be priced at $2.99. This effects many of the major titles and ongoing stories such as American Vampire, Batman: The Dark Knight, Green Lantern: Emerald Warriors, and JSA All-Stars as well as many licensed titles like Gears of War, God of War, Kane & Lynch, and Ratchet & Clank. All of those titles will now be slashed down to $2.99. Since the “accidental” announcement of Gears of War 3 a few months ago before the Jimmy Fallon Show, the internet has been abuzz with everyone looking to see what the monumental third person shooter would have to offer that was different from the previous games. Especially after the mutliplayer snafu of Gears of War 2, players have been anxiously awaiting what Epic Games will be putting out in the next iteration of the series. During the Microsoft press conference at E3, Cliffy B of Epic came out with three cohorts to show off the game’s new four player co-op campaign mode. As you’ll see below, players will be taking the fight on two fronts as they deal with the pesky Locusts as well as the new threat, the transforming Lambents. As always, Gears looks beautiful in motion and the new gameplay depth added from a four player mode will inevitably help the series’ success further. The second video gives some clips from the E3 premiere of Beast mode. The follow-up to Gears of War 2’s Horde mode, players will get to control a horde of Locusts looking to annihilate a group of Gears in this new multiplayer mode. From the look of things, players will have a variety of options with which Locusts they control as they take on the Gears. These options will likely add hours of new and exciting gameplay for even the most battle hardened Gears of War veterans. Check out the two gameplay videos after the jump, and keep it here for upcoming news, as it comes to us, on Gears of War 3.